Healthier Skillet Lasagna: 30 Minute Meal! 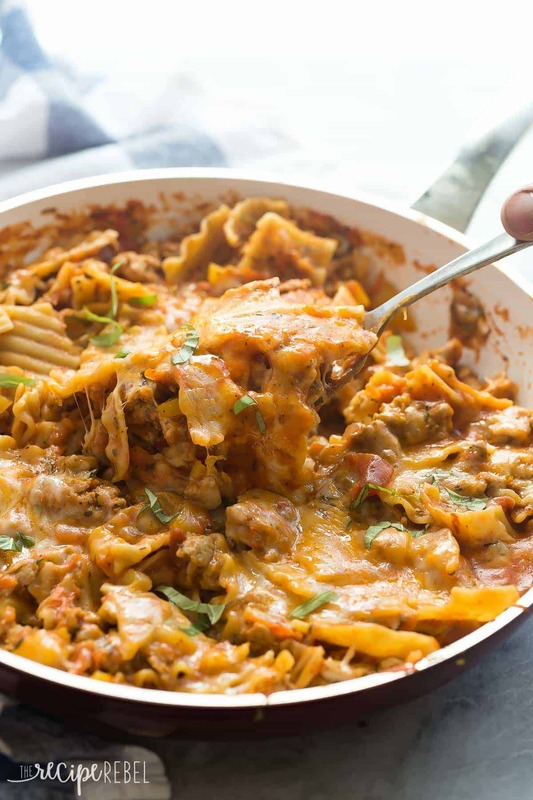 You are here: Home / Mains / Healthier One Pot Skillet Lasagna: a 30 Minute Meal! 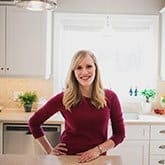 So it’s officially August, and here I am on my quest to bring you easy, practical, healthy meals that are family-friendly and toddler/preschooler approved. Okay, so the only one who is actually picky in the house is me, but I’m happy to say that this is Ashley approved as well. For me to eat a good dose of veggies, they have to be pretty well hidden. I know you probably think that sounds ridiculous — a grown woman who doesn’t know enough to just eat her vegetables! It’s true though. What I do know is that I need to eat my veggies, and the only way that is going to happen is if they’re cooked together with a bunch of other delicious things that I love, and this Skillet Lasagna is right up there. 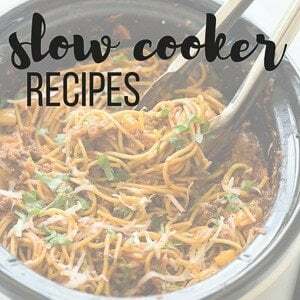 Along with this Homemade Hamburger Helper, Slow Cooker Sloppy Joes, One Pan Teriyaki Chicken and Noodles. Because by now I’m pretty sure you’re aware how much I love my carbs. Me and pasta and cheese? I’m not sure when the love affair began but it’s not likely to end anytime soon. So I sneak in all the veggies I can to make this a more reasonable meal on its own (because you know I’m not serving it alongside a leafy green salad!). As you can see in the video, I made this in my 12″ Ceramic Pan which I love (maybe you’ve seen my profess my love on Snapchat….?) — it is totally non stick and is big enough for a full one pot meal! I also love using these silicone spatulas — they don’t scratch anything and they’re easy to clean! This Healthier Skillet Lasagna is loaded with sneaky veggies, ground chicken or turkey, and a homemade tomato sauce making it an easy, healthy dinner that's ready in 30 minutes! In a large skillet, cook ground turkey over medium heat for 2-3 minutes or until starting to brown. Add onion, carrot, zucchini and pepper and cook for about 5 minutes, stirring occasionally, until turkey is browned and veggies are crisp-tender. Add salt, pepper, garlic, Italian seasoning, oregano and pepper flakes, stir and cook for 1 minute. Add tomatoes, broth and broken lasagna noodles and stir well. Bring to a simmer over medium-high heat. Reduce heat to medium and cook, covered, stirring often, until lasagna noodles are just tender (or to desired tenderness) -- about 15 minutes. Sprinkle with cheese, cover and let sit for 5 minutes. Serve immediately. *I don't like to weigh ingredients unless I think it's necessary. I weighed the lasagna because it's difficult to measure in cups and for a one pot pasta you'll need an accurate amount. My full box was 500g, so I used half a box. **Nutrition information is estimated and will depend on exact serving size, brands and products used. 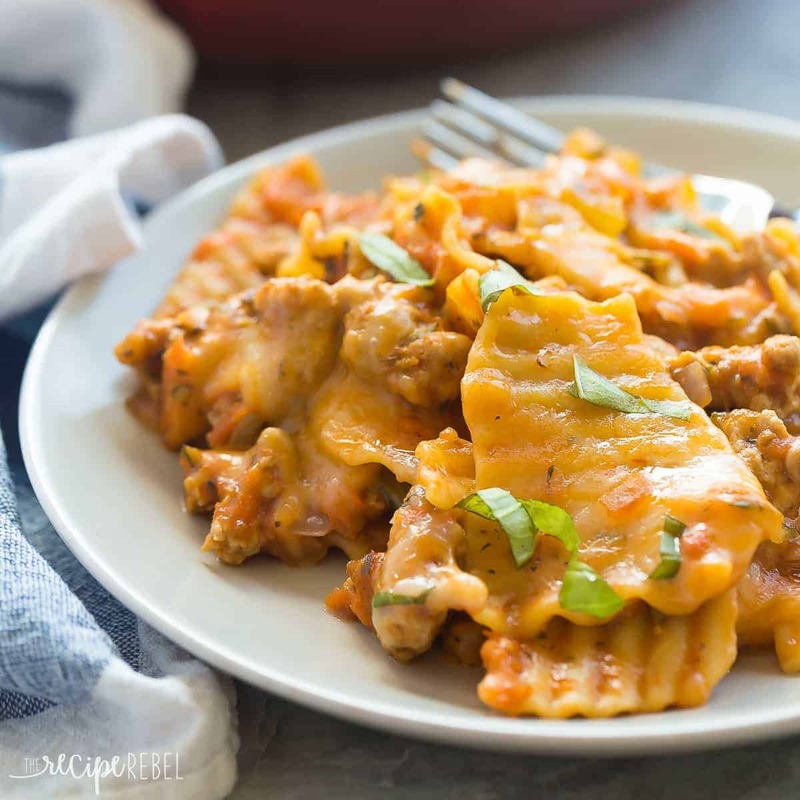 This Healthier Skillet Lasagna is loaded with sneaky veggies, ground chicken or turkey, and a homemade tomato sauce making it an easy, healthy dinner that’s ready in 30 minutes! Add onion, carrot, zucchini and pepper and cook for about 5 minutes, stirring occasionally, until turkey is browned and veggies are crisp-tender. Add salt, pepper, garlic, Italian seasoning, basil and oregano, stir and cook for 1 minute. Add tomatoes, water and broken lasagna noodles and stir well. Bring to a simmer over medium-high heat. 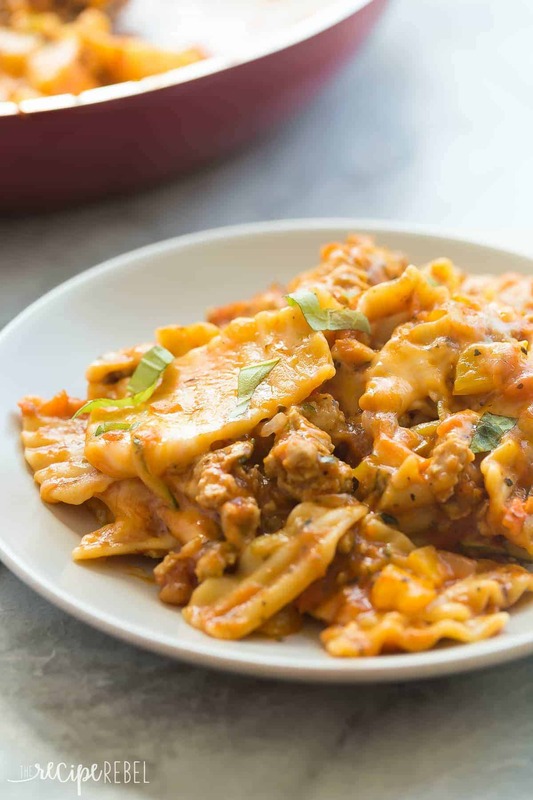 Reduce heat to medium and cook, uncovered, stirring often, until lasagna noodles are just tender (or to desired tenderness) — about 12-15 minutes. Sprinkle with cheese, cover and let sit for 2 minutes until cheese is melted. Serve immediately. *I don’t like to weigh ingredients unless I think it’s necessary. I weighed the lasagna because it’s difficult to measure in cups and for a one pot pasta you’ll need an accurate amount. My full box was 500g, so I used half a box. [br]**Nutrition information is estimated and will depend on exact serving size, brands and products used. More 30 Minute Meals from friends! I think that’s a great idea! Let me know how it goes! I made this for a friend and my two kids (5 and 2 years old). Everyone loved it. My toddler asked for seconds and thirds and my picky 5 year old ate it without complaint. I actually forgot until I was halfway through that I put the veggies in. When I mentioned it to my friend she paused with her form midair and said she had totally forgotten! I can’t cant wait to try it on my super picky husband. I used the fine grated to shred the carrots and zucchini (they were pretty much baby food after that). I had sharp cheddar on hand for the cheese and my friend and I sprinkled a bit of cayenne on ours to counter the sweetness a bit. Thanks for a keeper! You just made my day! This is one of my favorite recipes too and I’m so glad your family enjoyed it! I love this recipe so much! It’s already a repeat recipe in our house. I do have one question though, do you think I could substitute the lasagna noodles for anything I have on hand? We almost always have penne/rotini noodles but not always lasagna noodles. Do you think these would work just as well? I think it should work, although I haven’t tried it. I’m glad you like it! 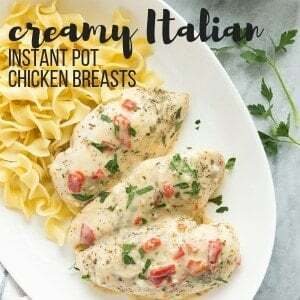 This was delicious and so easy and quick. I don’t usually use turkey (I’m an Aussie [now living in Canada] and turkey isn’t really a thing we eat) but this was so good! The flavours are delicious. Will be eating the rest tonight!! I’m so happy to hear that! It’s one of our favorites! What kind of cheese would you suggest? You could use a low fat mozzarella or regular mozzarella cheese if you want! Thanks Jayme! I actually didn’t drain the zucchini at all! I hope that helps 🙂 Let me know how you like it! Give me all the cheesy carbs!! Especially if there’s a secret veggie serving packed in there 😉 yum! I’ve got to give this a try. This looks fantastic. But then carbs and cheese usually do! 🙂 Love that it’s only one pan too. And that there’s so many veggies snuck in there! Can’t wait to try this one out! How many weight watchers smart points per serving? I’m not sure, sorry. I don’t calculate weight watcher’s points. Haha too cute, I love that you are sneaking in extra veggies for yourself and your kiddos 🙂 This looks so cheesy and delicious and would be a hit at our house! And yay for one pot and 30 minutes! Haha! It’s sad but true! I don’t know why I’ve never thought to make a skillet lasagna — this is so much easier (and faster!) than then the baked version! I think my family would really love this and I can’t wait to try it! Right?! This was my first time but not the last! You win at easy, healthy, fast, and DELISH weeknight dinners, Ashley!! I mean, this lasagna is basically all I want for lunch and dinner today and possibly every day for the rest of this week. Need, need, need!! Haha! 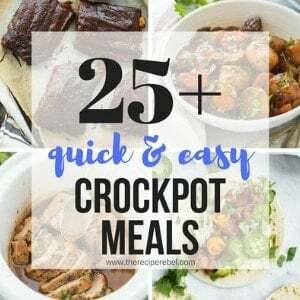 Easy, healthy (mostly!) and fast is what we NEED these days! Just CHAOS. Thanks Sarah! I didn’t know you weren’t a veggie lover! Oh my gosh! But good that you have the sense to sneak them into things. I love that. And I’m always down for hidden veggies (and visible veggies, too – lol). This lasagna looks so cheesy and good. I’m swooning over it! Haha! I guess I hide it well! I WISH I was but raw veggies I just can’t do much of. I do try to be a sensible adult though and eat them anyways, wherever I can get them in! Who doesn’t like carbs! Looks super delicious! Mmm you just can’t beat a healthier skillet meal, and those are hard to find! I definitely have to give this one a try since my husband and I adore anything with lasagna. I’ve never tried ground turkey before, but this looks like the perfect dish to use it in! 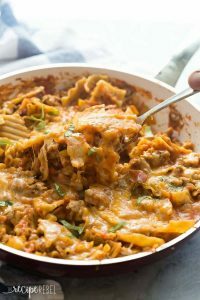 Love this Skillet Lasagna and all the veggies inside!!!! delicious! I know my kids would love this too!